Weather conditions should be T-shirt and shorts weather, but it can range from scorching sun and hot conditions to wind, rainfall, storms or snow. The walking is mostly on well-maintained trails, though it is likely that you will encounter some rougher ground. Some ascents will be tough and you should be confident of climbing and then descending over 1000 metres in a day. 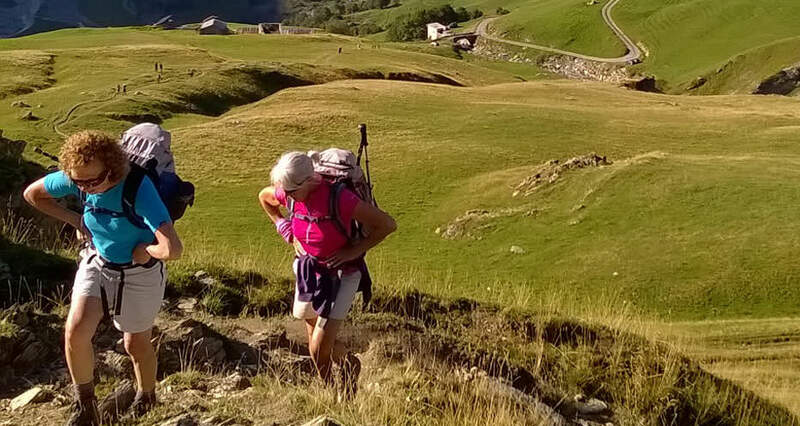 The walk should appeal to people who regularly take walking weekends and are happy covering 16-22km (10-14 miles) each day, with a number of ascents and descents. This is a challenging trek and you should be confident of your fitness. You trek in a clockwise direction as the days are less strenuous at the beginning: it allows you to build your fitness and have a day off in La Palud (Courmayeur) before the last three big days. The toughest or longest days are between La Fouly and Courmayeur; Courmayeur and Les Chapieux; Les Chapieux and Les Contamines. With over 10,000 hikers each year, you will meet lots of fellow trekkers on the trail. If you follow the traditional anti-clockwise route you often get caught up behind other trekkers as this is the busiest direction followed. However, the trail is wide enough in most places to easily get past. We follow a clockwise direction and congestion is far less: you just pass people coming the other way in a very short time. If you are on a guided trek our Leaders may take a slightly different route to avoid crowds. If you book your trek with our company, we have confirmed reservations for every night of the trek so you are able relax without the need to worry about finding accommodation or food. Salamander Adventures offers two packages for the Tour du Mont Blanc: The Guided TMB and the Self-Guided TMB. Both stay in hotels and we do not use refuges /mountain huts or stay in dormitories. Our clients stay in twin or double rooms, most with attached private bathroom. Get in touch now to find out more about the Tour du Mont Blanc.